Unfortunately, sometimes we have to report on something that is less than pleasant, and is downright tragic. Such is the case with this particular story, which is sadly not the only time we have had to report on violence taking place at a movie theater in recent years. 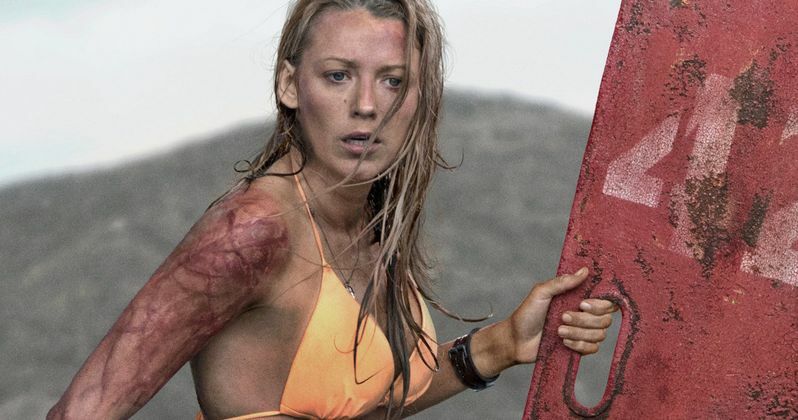 This time it didn't involve a firearm, but a 21-year-old man was stabbed on Wednesday at a screening of the Blake Lively movie The Shallows. The incident was initially reported by The Wrap Thursday morning. The victim is still hospitalized with life-threatening injuries, after having been stabbed in the throat, arm and lung. The attack appeared to be completely random, but the Police do have a 23-year-old man in custody who fits the description of the suspect. He has been identified as Delonte Anthony Hart. The Santa Rosa Police Department released a statement on their Facebook page regarding the incident. "The suspect, who was unknown to the victim, approached him from behind and stabbed him several times in an unprovoked attack. Witnesses tended to the victim's wounds until police officers and emergency medical personnel arrived." The attacker was taken in on charges of attempted /purge-movies-murder-spree-indianapolis-teen-jonathan-cruz/murder. The weapon that was used was reportedly recovered at the scene of the crime, but no specifics on the weapon have been released. The identity of the suspect wasn't made known initially, but the Santa Rosa Police identified him on Thursday afternoon in another post via their Facebook page. The theater that the incident took place, The Roxy Theater in Downtown Santa Rosa, has yet to make any sort of comment on the matter. There has been no update on the victim's condition as of the writing of this article. According to a separate report by the Santa Rosa Press Democrat, this may not have been the first time that the attacker currently in custody has committed a violent crime of this nature. The attack that took place Wednesday bare similarities to an as of yet unsolved stabbing that also happened in Santa Rosa. Police Sgt. Josh Ludtke had this to say to the paper regarding the incident and the potential link between the two crimes. "Based on the randomness of the act, the brutality of the act, certainly he's a person we're looking into as a suspect." We don't nearly as often hear about stabbings of this nature taking place in movie theaters, but in the past few years, random acts of violence in movie theaters is sadly something that has happened several other times, typically involving firearms. The most notable of these cases is of course the Aurora, Colorado shooting during a screening of The Dark Knight Rises in which 12 people were killed and 70 were injured by a /nashville-theater-shooting-police-kill-gunman/gunman who opened fire on the crowd. Last year, a shooting also occurred during a showing of the Amy Schumer comedy Trainwreck in Louisiana. We will be sure to keep you updated as new information on the case becomes available. You can check out the official statement from the Santa Rosa Police Department below.